The Vatican is the latest global powerhouse to try conditional surrender as a strategy for entering the world’s most promising market. Google may be next. Outsiders cannot crush the brittle but strong Chinese system. They can hope that slow-acting soft power brings changes. 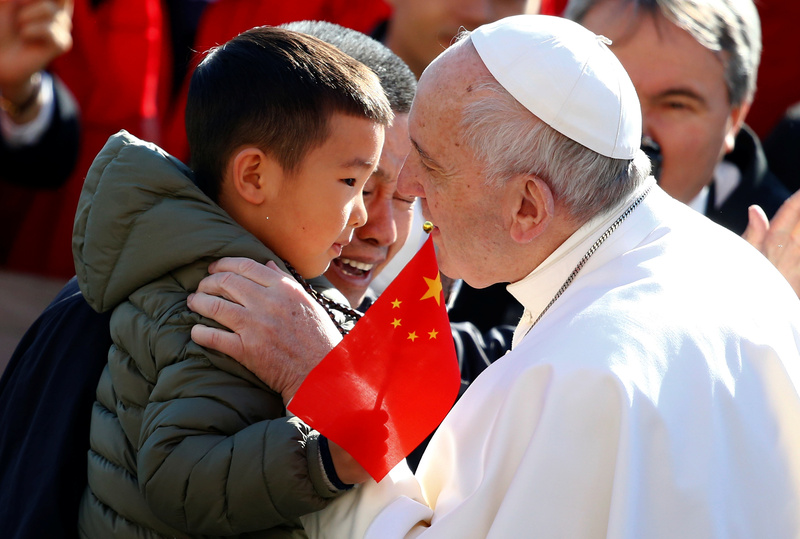 Pope Francis kisses a Chinese child as he arrives to lead his Wednesday general audience in Saint Peter's square at the Vatican March 15, 2017.